“Kem Cho, maja ma cho!” Well you may be flabbergasted what happened to me today. I am feeling joyous since I have just come from garba today and feeling way too much Gujrati actually. Gujrati dishes are not only mouthwatering but their names are unequivocally good and innovative. Well they are awesome dishes. 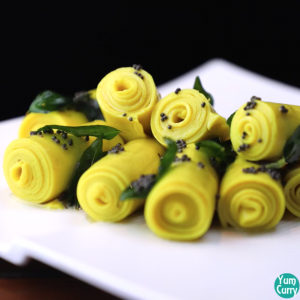 In order to give you guys a bit of taste of some mouthwatering Gujrati dish , I am presenting “Khandvi” – The most famous Gujrati dish. Khandvi is Popular Gujrati snacks originated in india. 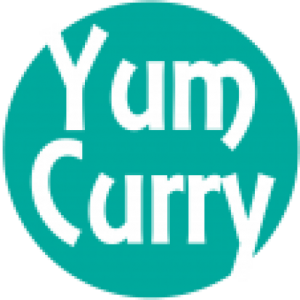 It is prepared with gram flour and curd. 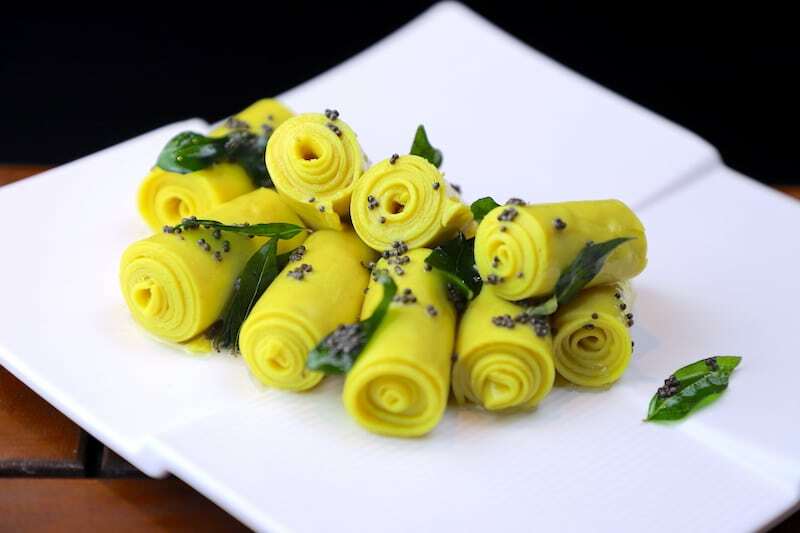 Khandvi look very delicious and tempting because of its bright yellow colours silky smooth textured. 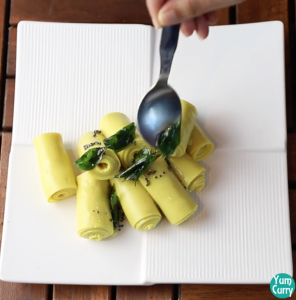 Khandvi is very easy, yet tricky to make especially in your attempt first time. When I prepared khandvi first time, it was big failure, then I tried again and this time they turned out better. 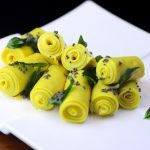 We need few easily available ingredient like gram flour, curd and some spices to prepare khandvi. 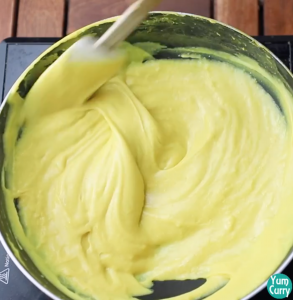 Consistency of its batter is very important while making khandvi. one should patiently wait while cooking till it achieves right texture to make a perfect khandvi. 1. If you do not have baking tray you can use big plates(thali) to set khandvi. 2. 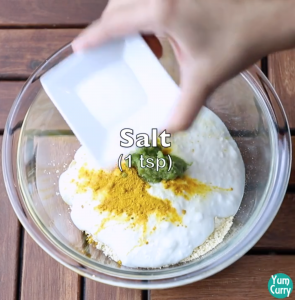 You can garnish with fresh grated coconut and coriander leaves. I prepared more snacks recipe like bread upma, sprouted moong cheela, plain dosa, oats uttapam, nankhatai, bread samosa. 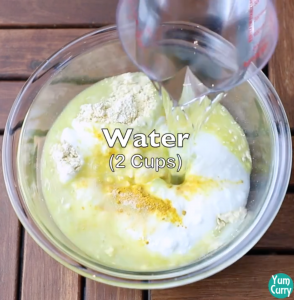 Click and checkout the full recipe. 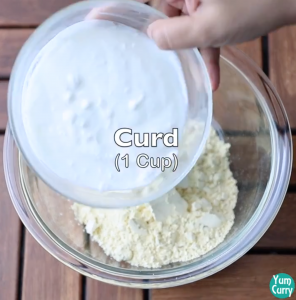 Take a deep mixing bowl, add 1 cup of gram flour and 1 cup of curd. Add turmeric, ginger chilli paste and salt. 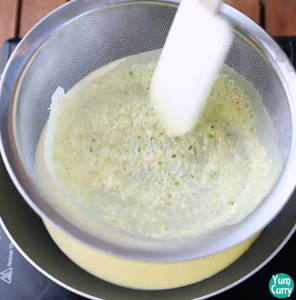 Add 2 cups of water whisk until all the lumps are dissolve and you get smooth batter. Add asafoetida again mix using whisk. Heat a pan, sieve mixture into the hot pan( straining help to remove all small chunks of spice or flour lumps). Cook on the low heat, continue stir until mixture become thick( continue stirring is important for lumps free batter). When mixture come together like a thick paste. Turn off the heat. 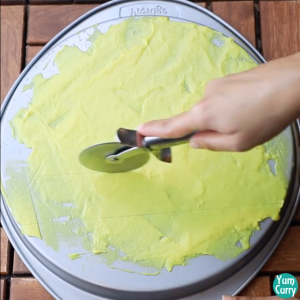 Spread the batter evenly in a thin layer to the greased tray. 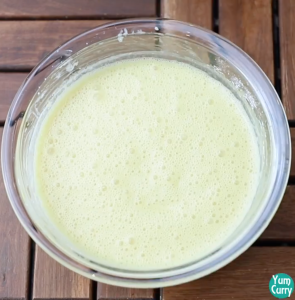 You have to be quick with remaining mixture so keep 2-3 tray or thali ready. Leave for some time and let the mixture set. 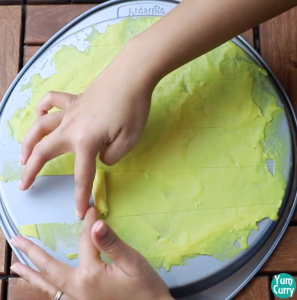 Cut vertically by using pizza cutter or knife in to equal size strips. Carefully roll the strips in to cylindrical shape. 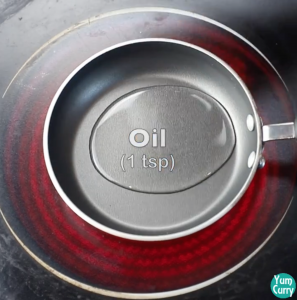 Heat 1 tsp oil in small tempering pan. Add 1 tsp mustered seed. 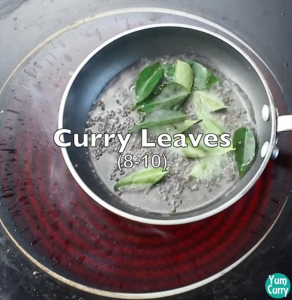 When they begin crackles add 8-10 curry leaves. Let them cook around 20- 30 seconds. Pour tempering on to the khandvi. 1. 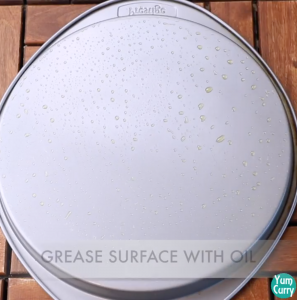 Grease the back side of baking tray, if you do not have baking tray, you can use large plate(thali). 2. 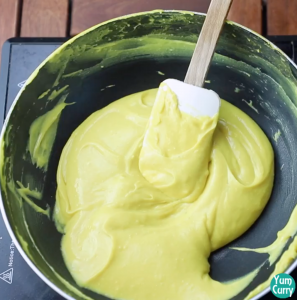 Take a deep mixing bowl, add gram flour, curd, turmeric, ginger chilli paste and salt. 3. 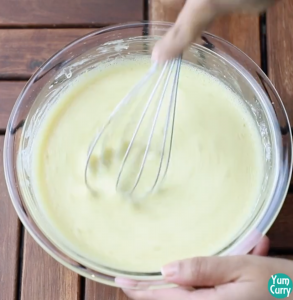 Add 2 cups of water whisk until all the lumps are dissolve and you get smooth batter. 4. 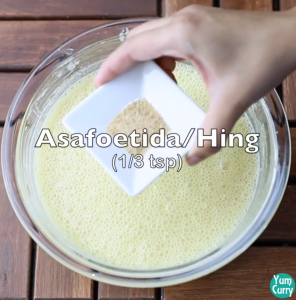 Add asafoetida again mix using whisk. 5. Heat a pan, sieve mixture into the hot pan( straining help to remove all small chunks of spice or flour lumps). 6. Cook on the low heat, continue stir until mixture become thick( continue stirring is important for lumps free batter). 7. When mixture come together like a thick paste. Turn off the heat. 8. 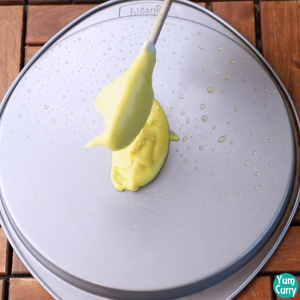 Place some amount of batter on to greased tray. 10. 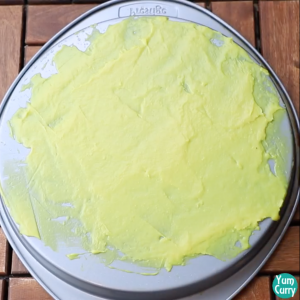 Spread the batter evenly in a thin layer to the tray. You have to be quick with remaining mixture so keep 2-3 tray or thali ready. 11. Leave for some time and let the mixture set. 12. 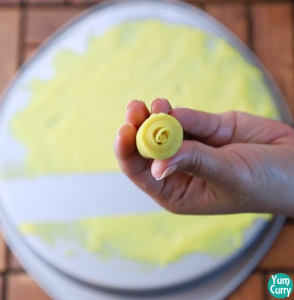 Cut vertically by using pizza cutter or knife in to equal size strips. 13. Carefully roll the strips in to cylindrical shape. 1. heat 1 tsp oil in small tempering pan. 2. Add 1 tsp mustered seed. When they begin crackle add 8-10 curry leaves. 3. Let them cook around 20- 30 seconds. 4. Pour tempering on to the khandvi. 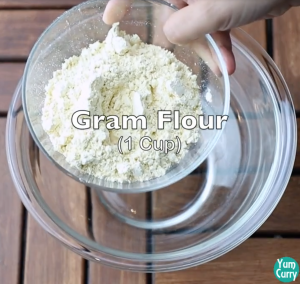 If you made this recipe, please do comment below how you liked it.